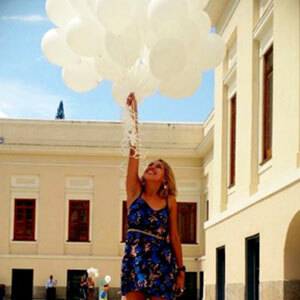 Fernanda Castilhos is a social designer who is passionate about the beauty of the world. She studied Fashion, Communication Design and Visual Arts in Brazil and Portugal. When she was 16, she began to work as a web designer and founded in 2011 the Orbe Collective, a collective of artists, curators, producers and architects focused on cultural production. At 23, she went to study at Oporto University in Portugal after which she moved to Rio de Janeiro where she worked in social and cultural projects for some of the most important institutions of Brazil, as Casa Daros, MAR, FGV, BNDES and others. In most of her projects she uses art and creativity processes to promote social impact, working with a variety of institutions and artists. To Fernanda, art can be a disruptive learning process that helps empower people and make them agents of their own transformation. She sees in beauty a tool to develop well-being. That’s why she believes that design, art and fashion must be aligned with the vision of a fair and sustainable world. Now Fernanda lives in São Paulo and works in Tomie Ohtake Institute conceptualizing and managing social and cultural projects, promoting social impact in the communities that the projects address. Besides that, she continues to run artistic productions, working with photography and contemporary art projects in general.